One of the busiest areas for small meeting room hire, London has so much going on that it can be hard to know where to start. We have cheap meeting rooms in The Space Centre, right by King’s Cross, St Pancras and Euston and close to the West End. 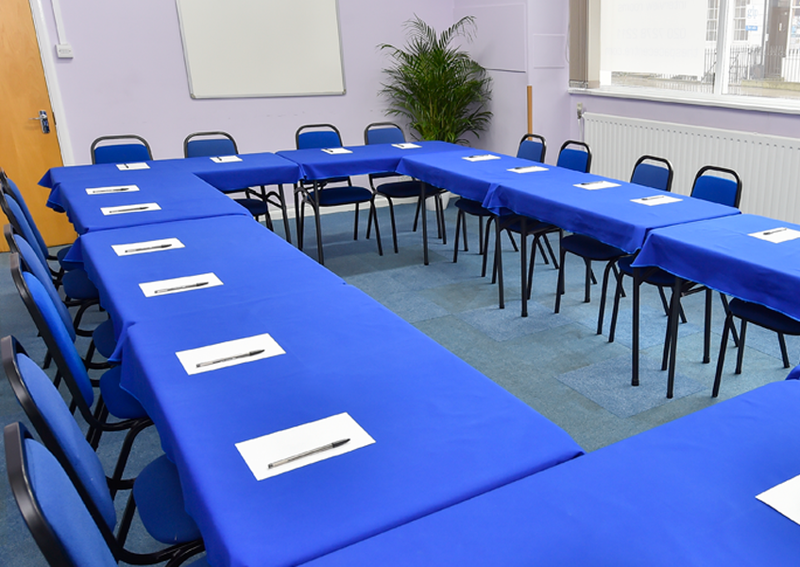 You can take advantage of our flexible meeting room layouts to get the right setting for small meetings of a couple of people right up to 30 delegates. 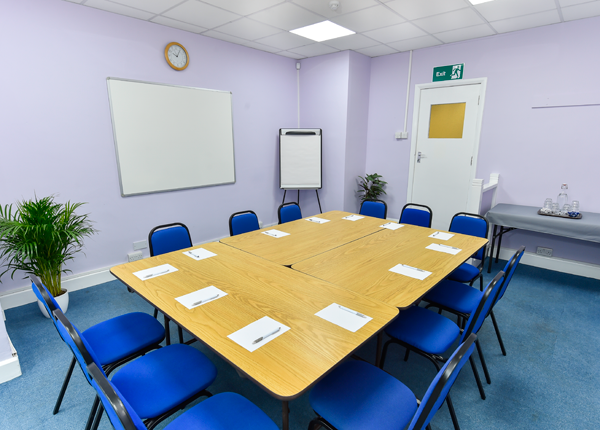 We can arrange our meeting rooms to suit your needs, whether you want an intimate space to serve as an interview room, a flexible layout for training or a more open space for a presentation or workshop. You could even use one for a small conference. We think you’ll agree that these are some of the most flexible small meeting rooms London has to offer, all ground floor based and all air conditioned with good natural light. London is a city with high expectations, so our corporate venues are designed to include all the essentials, from flipcharts, whiteboards, marker pens and Wi-Fi to tea and coffee, water and biscuits. We also offer conference phones, laptops and multimedia projection equipment for a small additional fee, and if you want lunch for your guests, we can arrange catering. 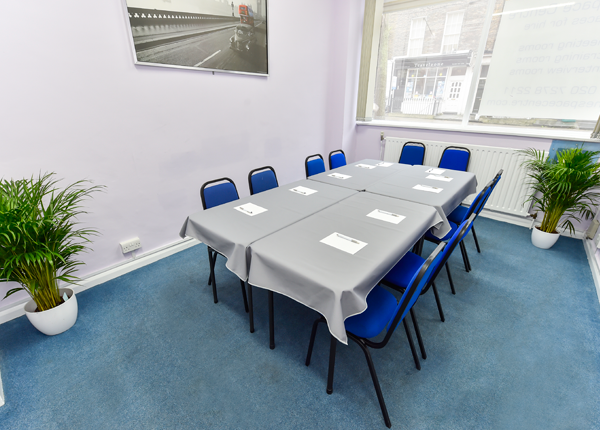 If you need to arrange cheap meeting rooms, London can be surprisingly lacking outside normal hours, but you’re in the right place with us. We’re open over the weekend and we can also provide you with a small meeting room /or/ an interview room between 5:30 and 8:30 in the evening at the same rate as a half day. We aim to provide a service that fits your budget and suits your needs.